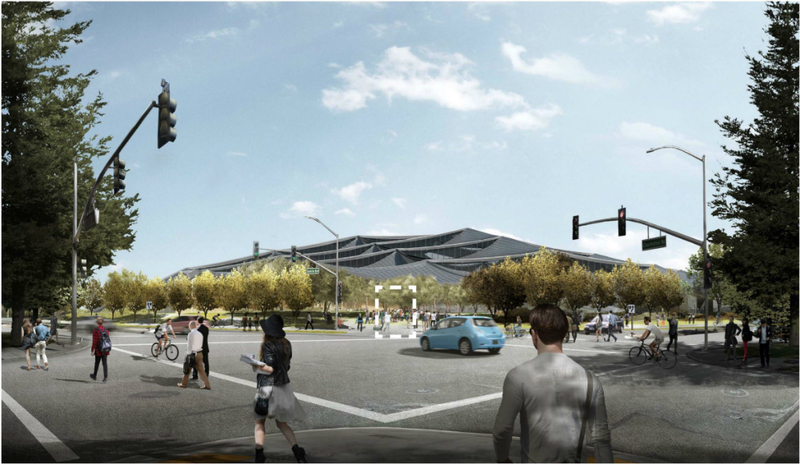 The project has yet to be approved by Mountain View officials. 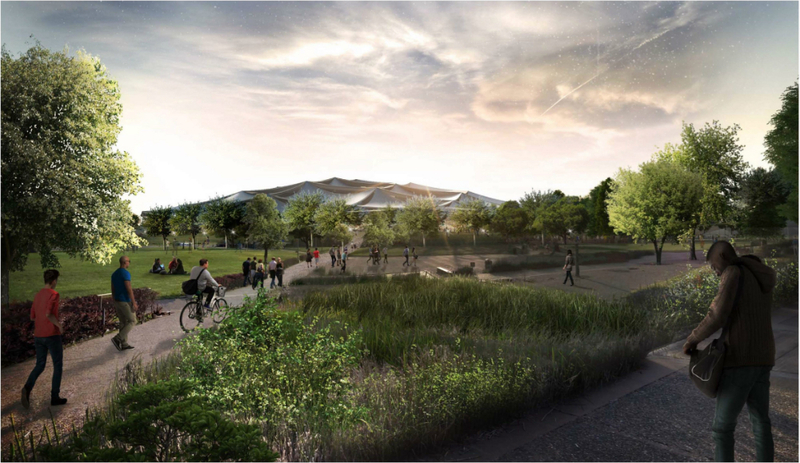 Once approved, the designers expect the project to be completed in roughly 30 months. 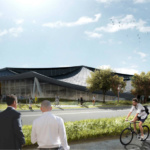 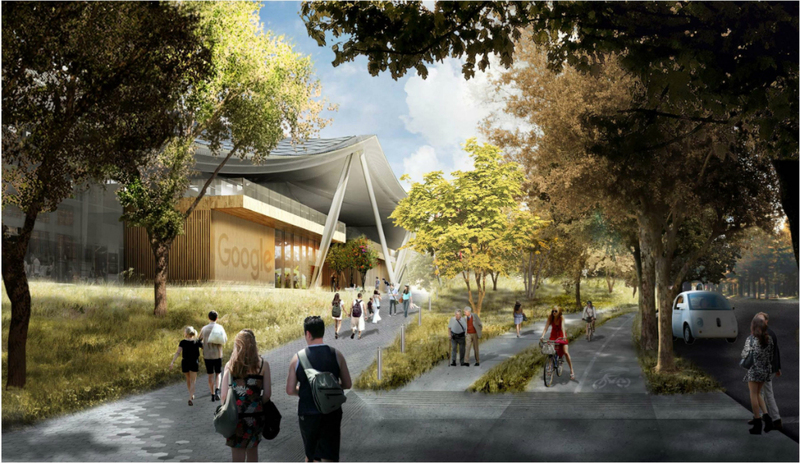 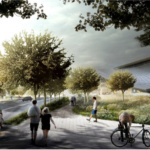 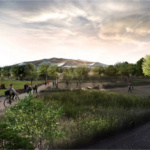 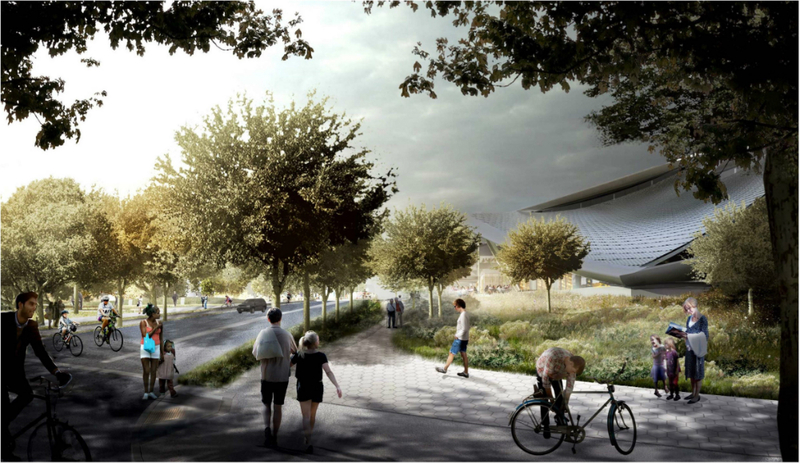 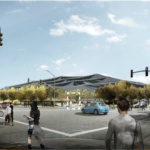 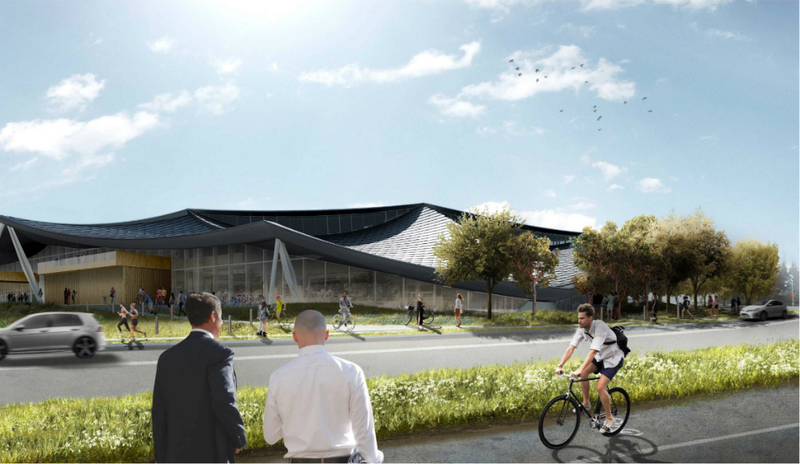 Heatherwick Studios, Bjarke Ingels Group (BIG), and Hargreaves Jones Landscape Architecture have revealed new renderings and designs for the firms’ Google Charleston East campus in Mountain View, California. 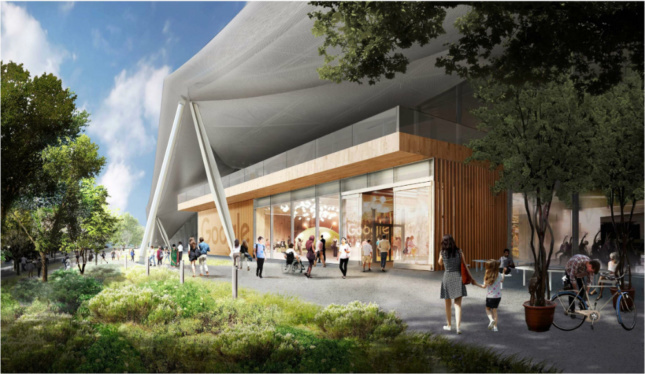 The renderings, shared via public documents made available by the municipality in advance of a public meeting scheduled for March 7th to discuss the plans and first reported by 9to5Google, showcase a distinctive, tent-shaped structure located on a large, landscaped site. 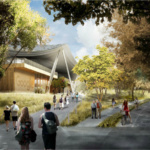 The canopy is square-shaped in plan and rises gently out of the tree-lined site, rising to a peak of 111 feet above grade. 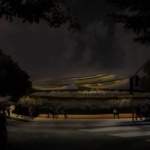 The structure measures 576 feet on each side and is configured as a solar panel-clad canopy hung from a gridded field of steel support columns. 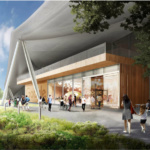 The structure’s cascading roof structure is designed to be supported by structurally glazed clerestory walls that have been treated to minimize their impact on local bird populations and are designed to bring diffuse light into the office areas. 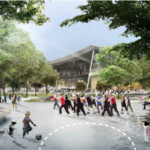 The 595,000-square-foot, two-story structure is bisected by an interior 15,300-square-foot pedestrian path that turns into a small public square at the center of the building. 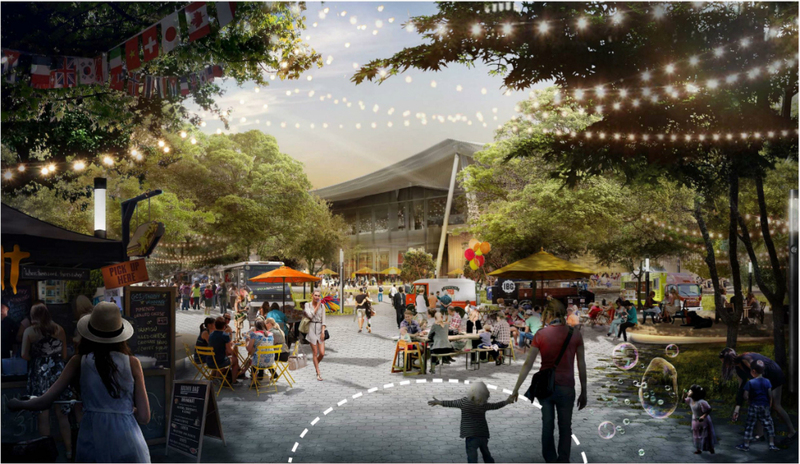 That path is lined on one end with retail. 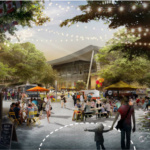 Retail functions appear again surrounding the central square, which totals 10,000 square feet in all. 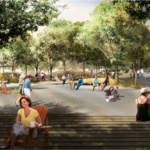 These areas connect to an expansive, landscaped site that is mostly accessible to the general public and connects to the city’s expansive network of greenways and pedestrian paths known as the Green Loop. 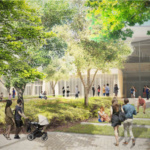 According to other documents shared by the municipality, the project will require the removal of 196 heritage trees from the site. 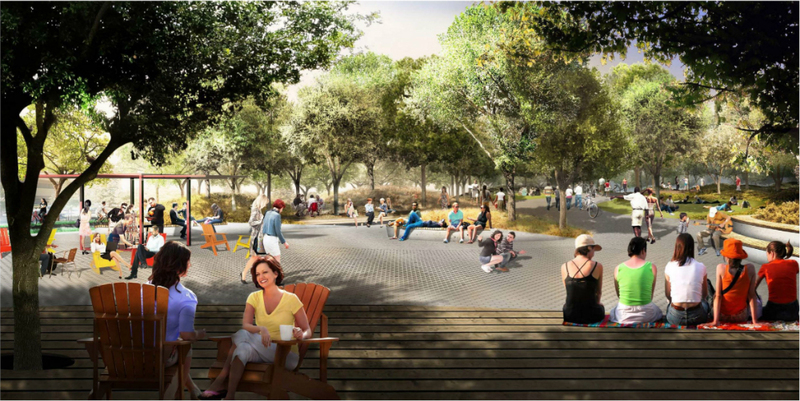 As part of a California Environmental Quality Act compliance, those trees are being replaced with 392 new specimens. The publically-accessible ground floor of the structure and the site will be open to the public during daylight hours. 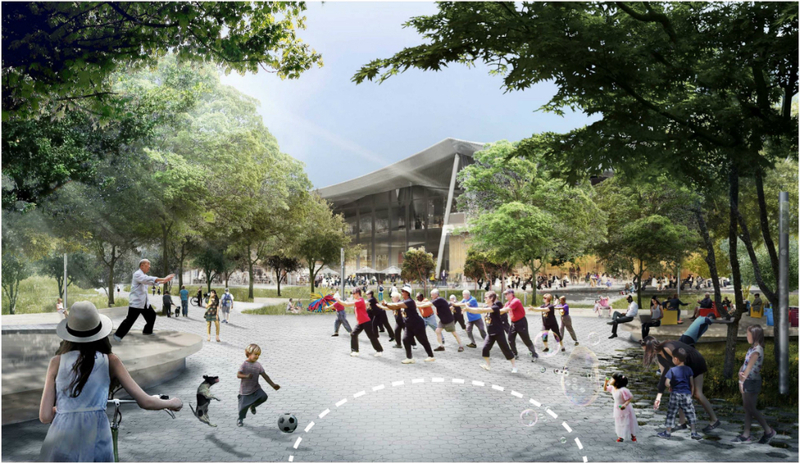 The non-public areas along the ground floor will be laboratory spaces, quasi-public assembly areas, and shared employee leisure areas. The second floor of the structure will contain Google’s offices. 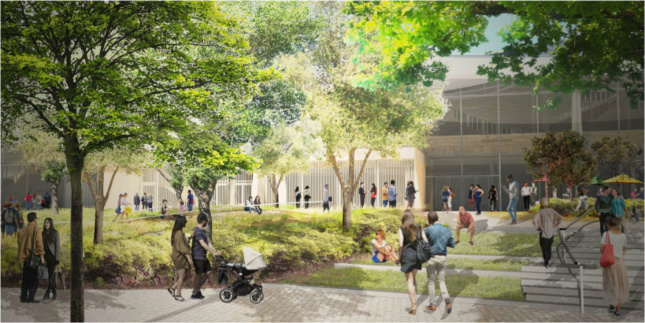 The floorplates of both levels are punctured throughout with interior courtyards that will bring light into the work areas and also act as circulation cores.